until you pass the exam. Need help with your SC Contractor exams? South Carolina's most comprehensive local seminar company for the building construction industry. We can help you pass your PSI Exams! We know South Carolina exams and codes, and that's what we focus on. Our seminars are held at 125 Contractors Way Suite D, Ridgeway, SC 29130. We have been providing the most complete exam preparation courses available to the contractors of South Carolina for over 25 years. Our instructors have passed PSI exams, have been contractors and are licensed by the state of South Carolina. Seminars include review that covers questions and answers used on General Commercial Contractors, Residential Builders, Electrical, HVAC Air Conditioning, Plumbing, Grading, Asphalt Paving, SC Bridges, Concrete and Concrete Paving, Water and Sewer Lines, Marine, Specialty Roofing, Certified Pool and Spa Operator, Swimming Pool Contractor, Residential Home Inspector, Heating, Bridges, Glass Glazing, Concrete, and Business Management and Law state exams. This web site, www.SCExams.com, contains detailed information about South Carolina seminar courses to pass PSI Exams for contractor license preparation for General Commercial Contractors, Residential Builders, Electrical, HVAC Air Conditioning, Plumbing, Grading, Asphalt Paving, Concrete Paving, Water and Sewer Lines, Marine, Specialty Roofing, Certified Pool and Spa Operator, Swimming Pool Contractor, Residential Home Inspectors, Heating, Bridges, Glass Glazing, Process Piping, Concrete, Residential Light Commercial. 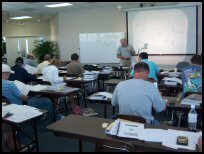 Seminars taught by Contractors Seminars, Inc., cover the plans, math and estimating, material take off, load calculations, isometrics, and a complete set up of construction reference books and materials to be used on your SC exam. Exam preparation seminars include review that covers questions and answers used on Business Management and Law state exams. Additional information on bookstore to purchase all needed books, contractor license examinations, PSI exam prep, builders license preparation, construction seminar, construction school, contractors exam, contractors course, with Contractors Seminars being held in Ridgeway SC.